We’re committed to bringing you the finest and freshest seasonal fruit and vegetables delivered straight from our backyard orchard. Fifteen traditional varieties of apples are grown in the Boric orchard, along with pears, citrus, figs, plums, peaches and quince. 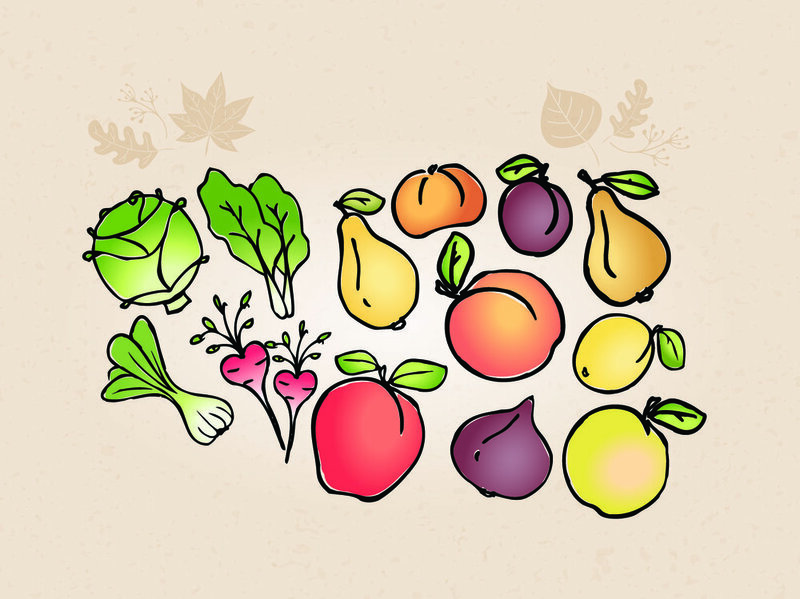 To ensure freshness all year round, we partner with local suppliers to offer a wide variety of seasonal produce that match the integrity of our own fruit and veges. We’ve teamed up with a local market gardener and grow a variety of vegetables onsite. FRUIT Gravenstein Apple, Red Bartlett Pear, Billington Plum VEGETABLES Beans - Flat and Round, Courgette, Eggplant, Peas, Lettuce, Radish, Shanghai (Bok Choy), and Silverbeet. FRUIT 15 Apple varieties, six Pear varieties, three Plum varieties, two Peach varieties PLUS Lemons, Mandarins, Figs and Quinces VEGETABLES Lettuce, Radishes, Shanghai (Bok Choy), and Silverbeet. 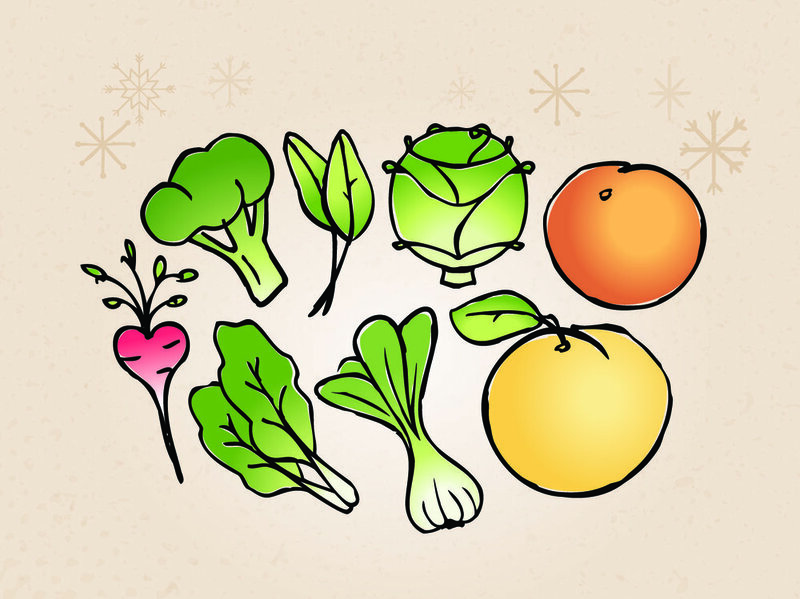 FRUIT Grapefruit and Oranges VEGETABLES Lettuce, Brocolli, Radishes, Silverbeet, and Shanghai (Bok Choy). VEGETABLES Beans - Flat and Round, Courgette, Lettuce, Broccoli, Radishes, Silverbeet, and Shanghai (Bok Choy). Our Deli is at the heart of the store. There’s no menu as such, just a mouth-watering selection of sweet and savoury gourmet treats — with all ingredients sourced from our store or onsite orchard. Our experienced chefs create seasonally inspired delicacies and have a passion for whole foods. They often experiment with creating tasty, raw meals catering to people with food intolerances, so there’s plenty of vegetarian, vegan, raw, gluten and dairy free options for those of us with sensitive tummies. 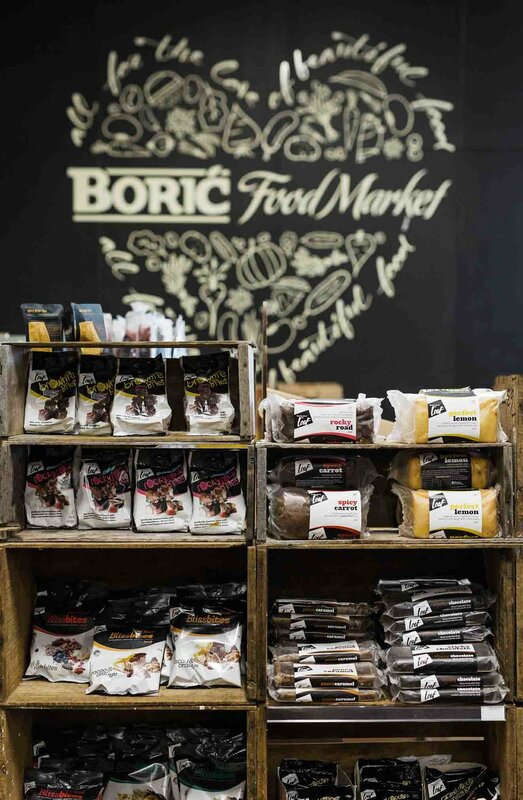 Try pairing an organic Kokako coffee with a delicious home-made slice or cake from our cabinet. We have a variety of fresh salads, savouries, sandwiches and soups; perfect for those on the go, or to enjoy on our outdoor covered balcony. We have authentic meats from around the world including Prosciutto and Parma ham from Italy, Chorizo from Spain and Black Forest Ham from Germany. We stock a selection of award winning NZ cheeses and assortment from around the globe. Be sure to sample some in store to find your flavour! We’re passionate about the quality of ingredients. Locally sourced – we’re constantly inspired by how our community creates some of the most unique and exciting artisanal food products in the world today. Our artisan range includes organic, raw and gluten free specialty items such as chocolates, teas, coffees, pastas and condiments that are all locally produced. From the delectable to the unexpected you’re bound to find something special. Our assortment of quality wine is both NZ and internationally made and boasts our very own Boric Sauvignon Blanc, Chardonnay and Pinot Gris nurtured on-site from locally sourced grapes. If you want to wrap your taste buds around the latest hoppy, malty, carbonated creations; try our selection of delicious craft beer with natural ingredients and NZ hops. We also stock everyday items such as dairy, bread, meat and fish to provide a convenient shopping experience for all our customers. Our Homeware offering brings you a versatile range of products from design favourites such as French Country, Citta, General Eclectic, Anoint and Kerridge Linens. Kitchen essentials and specialty gadgets are presented throughout the store for enthusiastic home chefs. We also have a great range of recipe books by popular chefs perfect for those after some mouthwatering meal inspiration, or as a gift for that foodie friend. The explorer. The creator. The adventurist. The learner. No matter what your child’s passion is they’ll be inspired by the range of toys, books and activities showcased in our children’s display. Little ones will be delighted by the range of themes from dinosaurs and unicorns to pirates, princesses, animals and fairies. We try our best to choose products that are made from natural materials, are tactile, vibrant and encourage and ignite creative minds from well-love brands such as Seedling, Tiger Tribe, Citta and Hape. Join our mailing list to stay up-to-date with upcoming events and specials. Only a 20 minute drive from Auckland CBD!